Like a scene straight from a horror film, in 2017 the hand of a dead mountaineer emerged from the ground at Mount Everest’s camp one. Because along with hundreds of thousands of pounds of empty beer bottles, food cans, torn tents, and empty oxygen bottles ditched by climbers, there’s something else that gets left behind: The bodies of those who have died on the mountain. 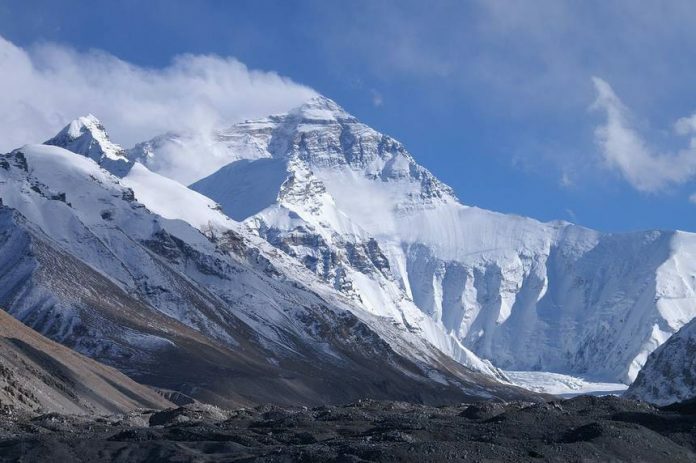 It appears that most of the dead bodies have been emerging from the Khumbu icefall, a spot noted for being particularly dangerous, as well as in the final camp area. Officials say that they have been gathering the ropes left behind from the climbing season, but the bodies are a bit trickier. Professional climbers from the Sherpa community are on the job, but as one might imagine, they say it’s not easy. Nor is it cheap; removing a dead body can cost up to $80,000. Much like the WWII-era anthrax-laden reindeer that were unleashed from the ice after a Siberian heatwave a few years ago, who knows what other gory surprises a warming planet may have in store for us. Suffice to say that as Earth’s ice melts, we can expect more strange things to emerge – unlucky mountaineers may be just the tip of the iceberg.